GOSPEL, our concluding concert for this season. June 11, 2017 at 7:30 pm at the Norris, Palos Verders Performing Arts. Morten Lauridsen will be at our April 2nd concert featuring his Lux Aeterna. He will also give a pre-concert lecture at 6:30 PM. 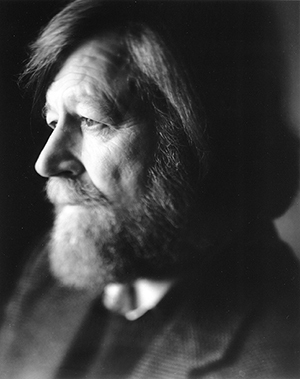 The music of Morten Lauridsen occupies a permanent place in the standard vocal repertoire of the Twenty-First Century. His eight vocal cycles (Lux Aeterna, Les Chansons des Roses, Madrigali: Six ‘FireSongs’ on Italian Renaissance Poems, A Winter Come, Cuatro Canciones, A Backyard Universe, Nocturnes and Mid-Winter Songs on Poems by Robert Graves), instrumental works, art songs and series of motets (including O Magnum Mysterium) are performed throughout the world and have been recorded on over two hundred CDs, including several that received Grammy nominations. Mr. Lauridsen (b. 1943) served as Composer-in-Residence of the Los Angeles Master Chorale from 1995-2001 and is currently Distinguished Professor of Composition at the University of Southern California Thornton School of Music and Honorary Artistic President of INTERKULTUR/World Choir Games. ). He has held residencies at over one hundred universities and is the recipient of four honorary doctorates and the ASCAP Foundation “Life in Music” Award. A prize-winning documentary by Michael Stillwater, Shining Night – A Portrait of Composer Morten Lauridsen, was released in 2012 (songwithoutborders.net). A native of Portland, Oregon, Morten Lauridsen worked as a Forest Service fire-fighter and lookout on a remote tower near Mt. St. Helens before attending Whitman College and USC. He now divides his time between Los Angeles and his summer cabins in the San Juan Islands of Washington State. More information is at mortenlauridsen.net.